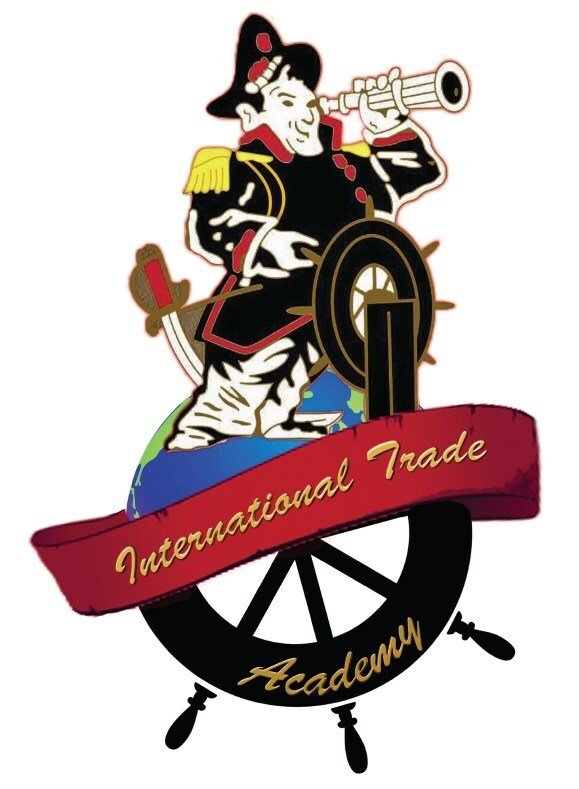 The International Trade Academy is a predetermined career path with sequenced courses that include the academic and vocational knowledge and skills defined by business and industry. It leads to employment in international careers. It includes planned academic courses that are coordinated with related post secondary institutions. The curriculum includes academic and interpersonal skills required for success in the current and future work force. Integrating core academic high school curriculum with fundamental business courses to give students a firm background to start understanding international trade. Emphasize attendance, leadership, self discipline and the benefits of responsibility. Offering a well-designed selection of college courses that provide exposure to business and academic rigor. Creating an internship program enabling students to compete for a variety of well paid, interesting jobs. Teaching students to feel comfortable talking to and dealing with professional business people. Directing students towards establishing strong, reasonable goals for their years after high school graduation. This page is best viewed if used with Mozilla Firefox.